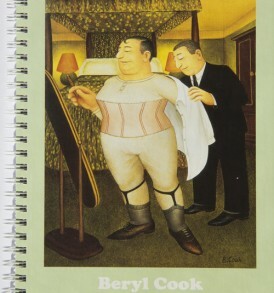 Britain's Biggest Stockist of Beryl Cook Fine Art » The Lingerie Shop. Collectors Framed Print. HomeBeryl CollectiblesThe Lingerie Shop. Collectors Framed Print. 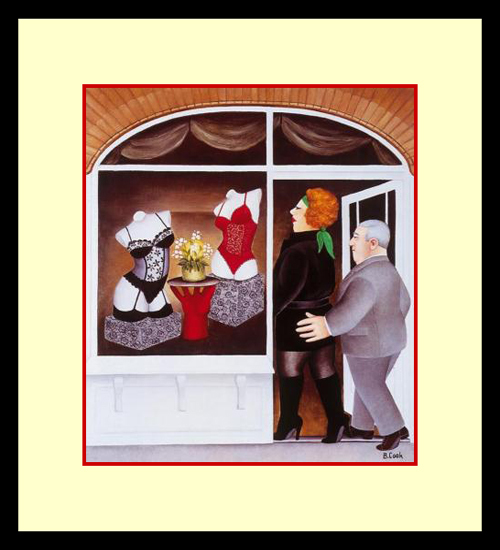 The Lingerie Shop. Collectors Framed Print. Bus Stop. Collectors Framed Print. Bus Stop. Ready framed collectors print. Double mounted with a suitable colour to complement the image. Matt black frame, finished with brass fitting ready to hang. 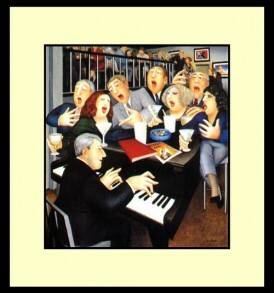 Total framed size 10 x 11.5 inches. Why not start your collection now! Big Olives. 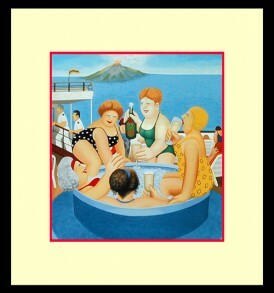 Ready framed collectors print. Double mounted with a suitable colour to complement the image. Matt black frame, finished with brass fitting ready to hang. Total framed size 10 3/4″ inches square. Why not start your collection now! Cruising. Ready framed collectors print. Double mounted with a suitable colour to complement the image. Matt black frame, finished with brass fitting ready to hang. Total framed size 12 inches square. Why not start your collection now! Mystery Tour. Collectors Framed Print. 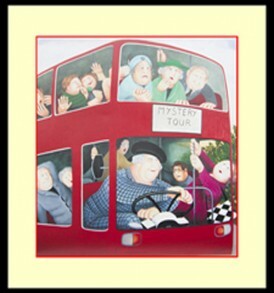 Mystery Tour Ready framed collectors print. Double mounted with a suitable colour to complement the image. Matt black frame, finished with brass fitting ready to hang. 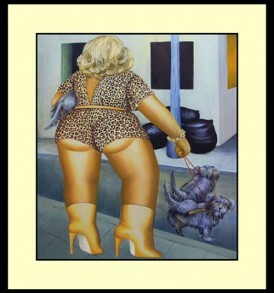 Total framed size 12 inches square. Why not start your collection now. NO EXTRA CHARGE FOR SCOTTISH HIGHLANDS.